According to Ralph Waldo Emerson, there are four essential ingredients to success. 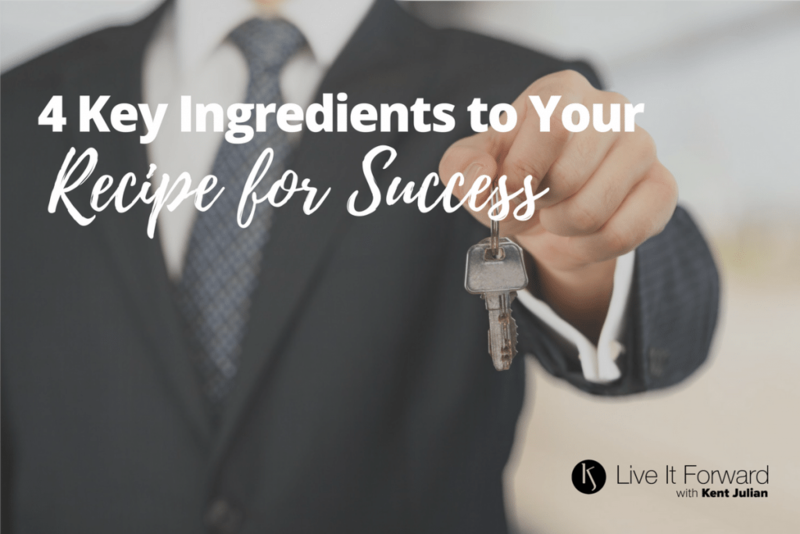 You can create an entree of success in your life and business by mixing four key ingredients into your recipe for success. “In You.” The ingredients for your success are inside of you, and they can only come out of you when you embrace your best self. “Be.” This is an active word, even though on the surface, it might appear passive. Your doing is shaped by your being, so in order to “do” anything of significance on a consistent basis, you have to actively invest time and energy into personal development. Did you notice the first word of every ingredient in Emerson’s recipe for success requires action? Bottom line, if you want an entree of success in your life and business, you must actively mix the four ingredients in this recipe of success — choose work you love, give your best, seize opportunities, and be a team member.